Incidently this blog is four years old today. The first entry was on 17th June 2011, the day I retired. Since then I have uploaded 446 posts, which averages just over two a week and covered many subjects, but have concentrated, of course, on my main interests of birding and travel. In that time my blog has been viewed over 66,000 times. 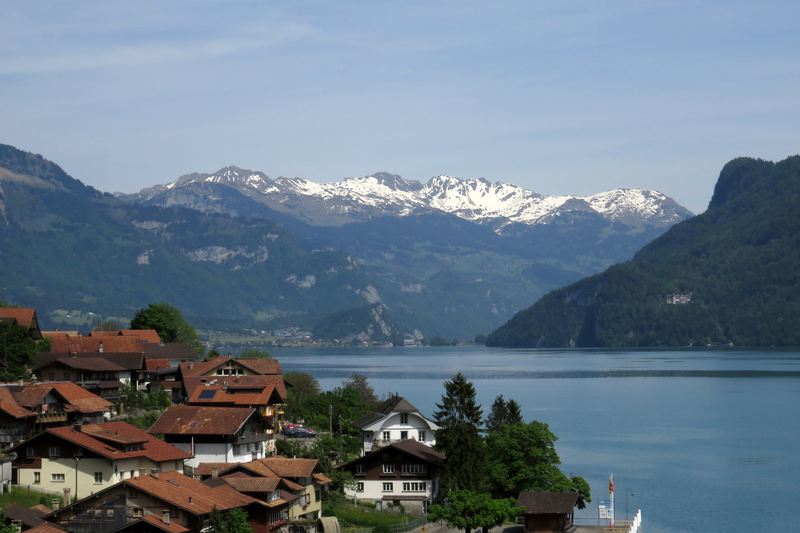 Late on the 12th we arrived in Interlaken. 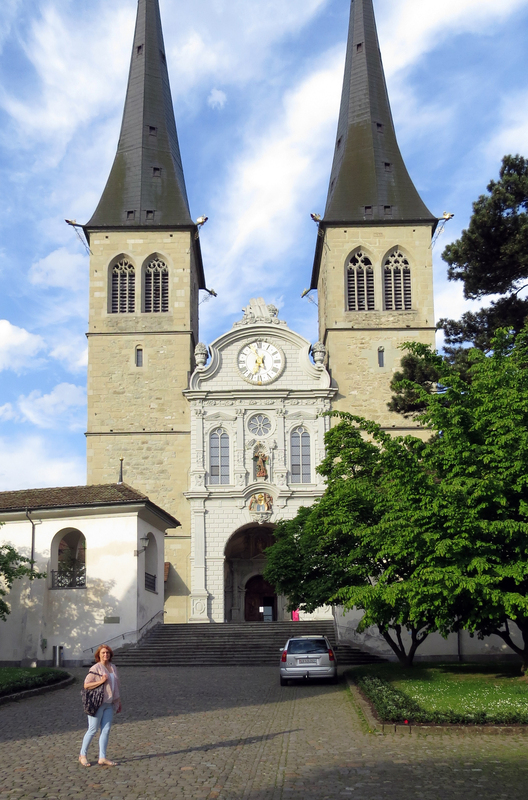 As the name suggests the town is situated on land between two large lakes, Thunersee and Brienzersee. 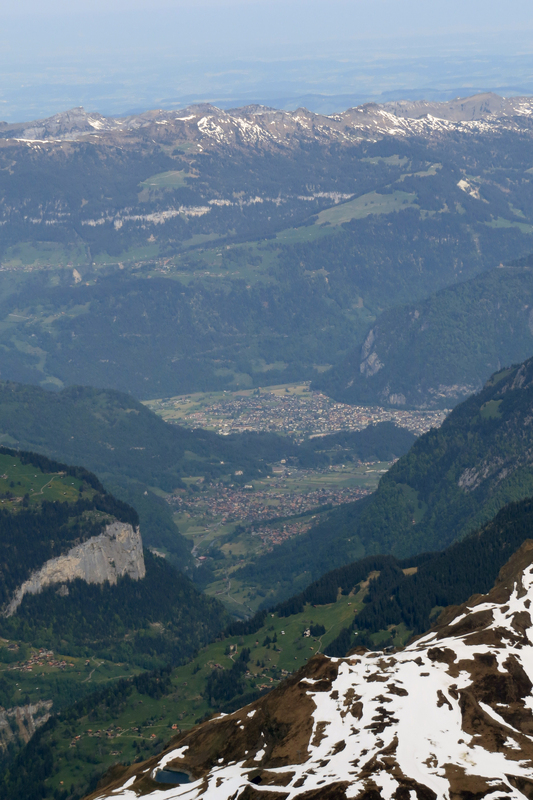 This is the view a short distance east of the town over the Brienzersee. 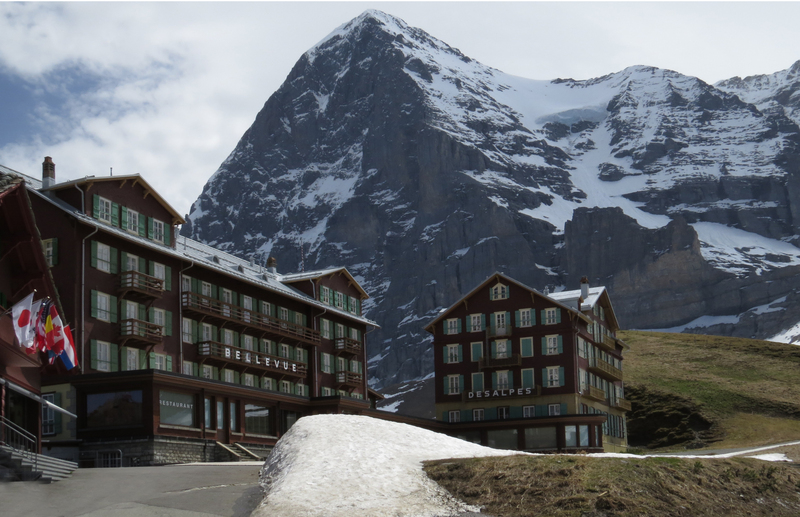 The main tourist attraction in the area is taking the train all the way to Jungfraujoch, a view-point at 3475m between the Jungfrau and the Eiger. If you start at Interlaken West the almost 3000m climb involves three changes of train and takes about two and half hours. 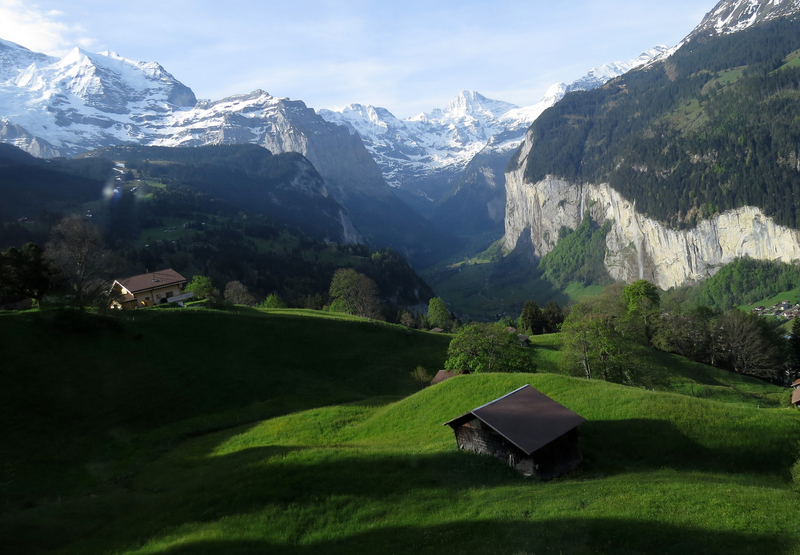 A mainline train took us to Interlaken East, where we changed for Lauterbrunnen. 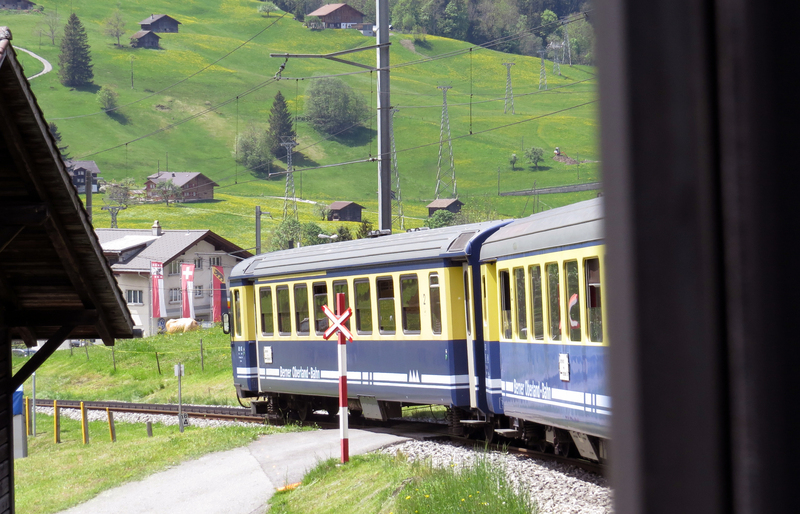 From here another train took us steeply through the alpine meadows and coniferous forest …. …. 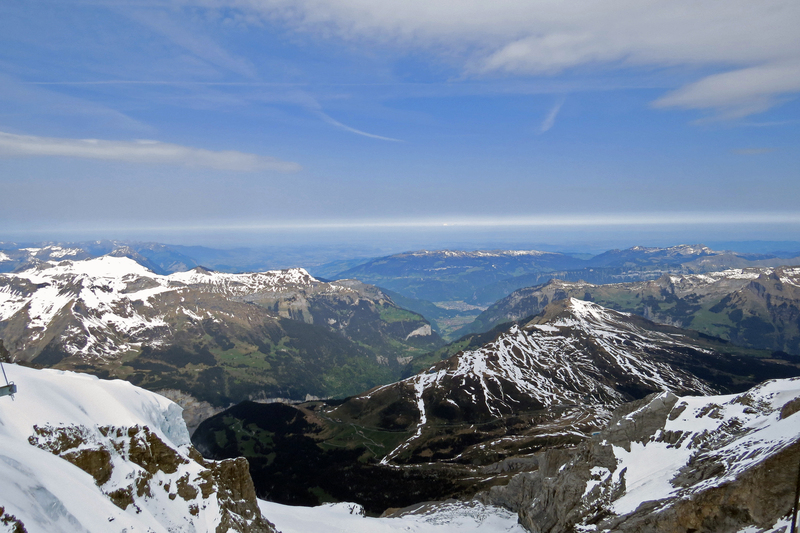 until, under the shadow of the Jungfrau, we were above the tree line. …. 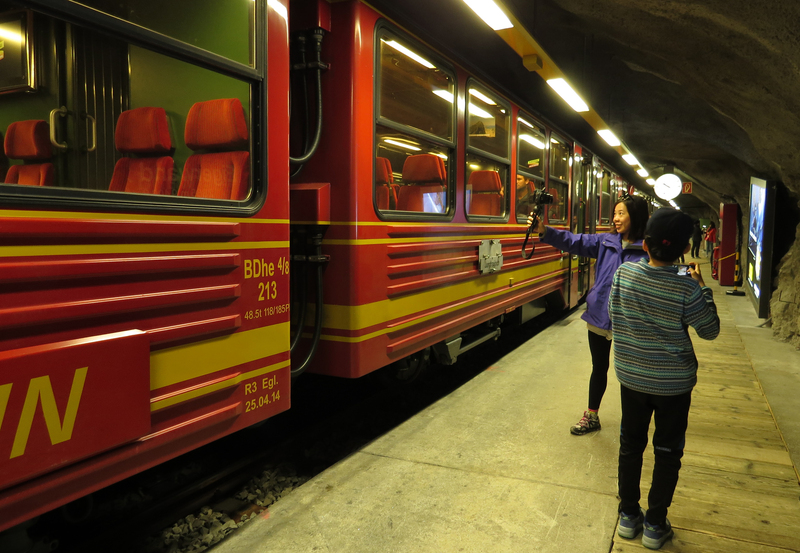 which then climbed into a tunnel that went right under the Eiger. 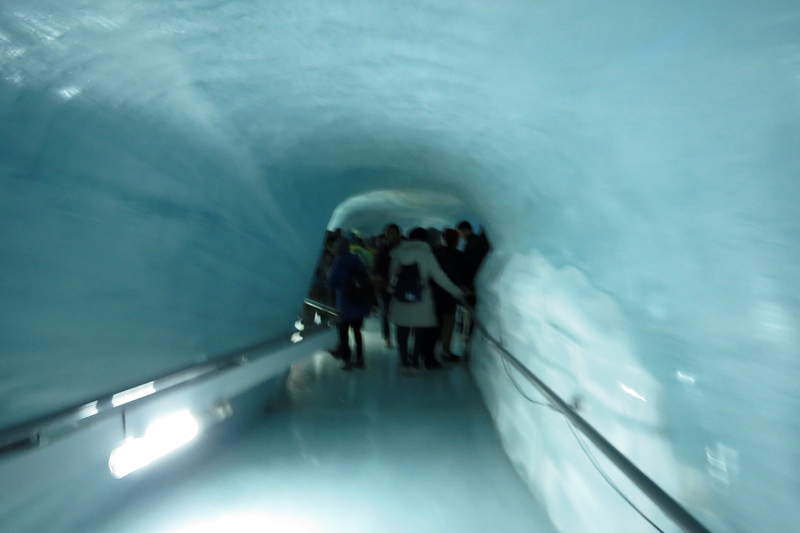 The terminal was still underground and we had to ascend several floors to reach the observation platforms. The view from the top was magnificent. This shot gives a panoramic view of the valley below. This is the same view zoomed in. To the right Interlaken was visible in the distance. 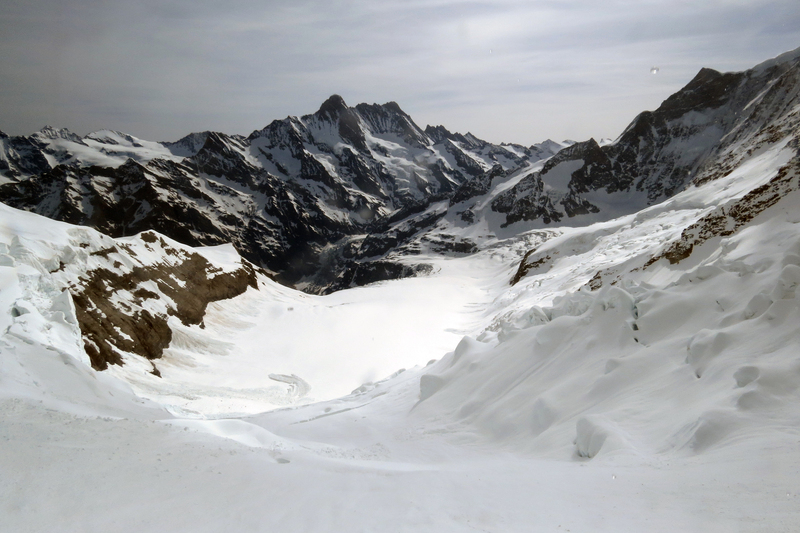 In other directions an endless vista of ice and snow was revealed …. …. 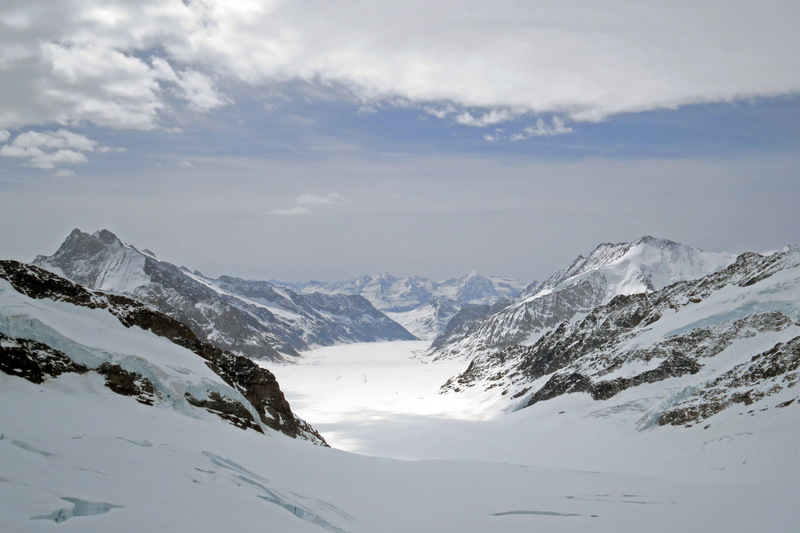 including this wonderful view over the Grosser Aletschgletscher, at 23 Km long, the biggest glacier in the Alps. 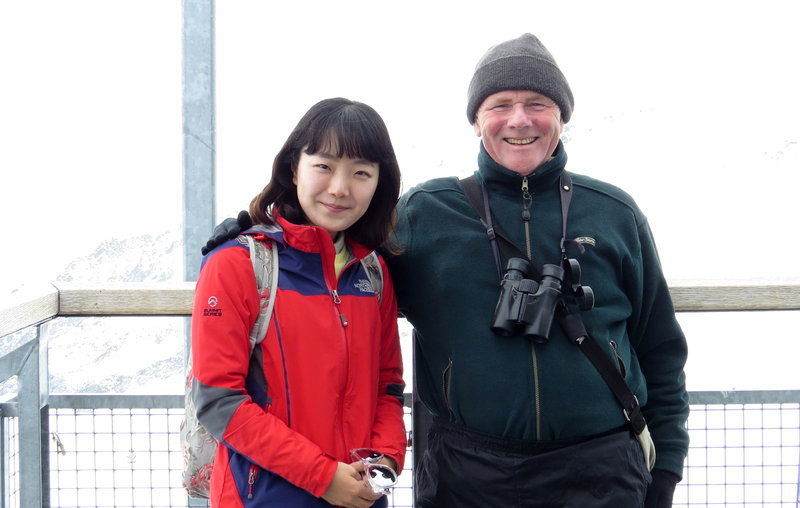 I had been chatting to some Taiwanese tourists on the way up, and this nice Taiwanese girl wanted to be photographed with me. 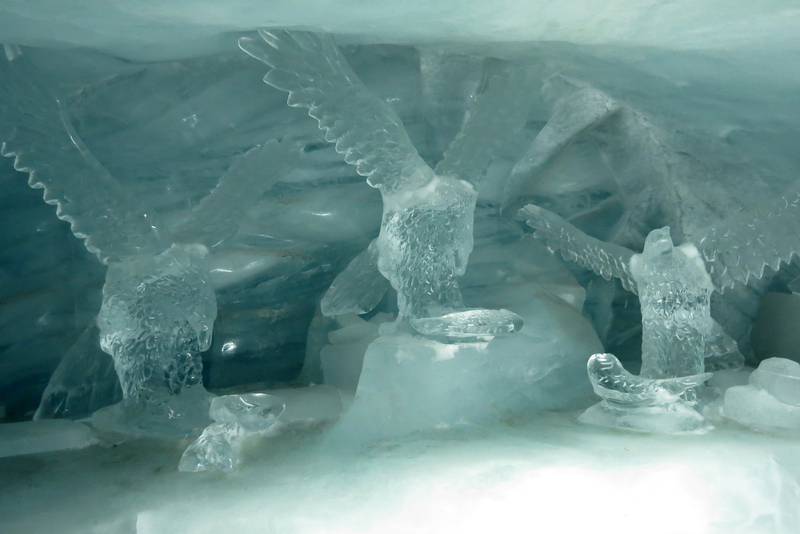 As well as being a viewpoint, the site has been developed into a bit of a theme park with a restaurant, these ice sculptures …. …. and tunnels cut in the ice that you can slip and slide along to your heart’s content. 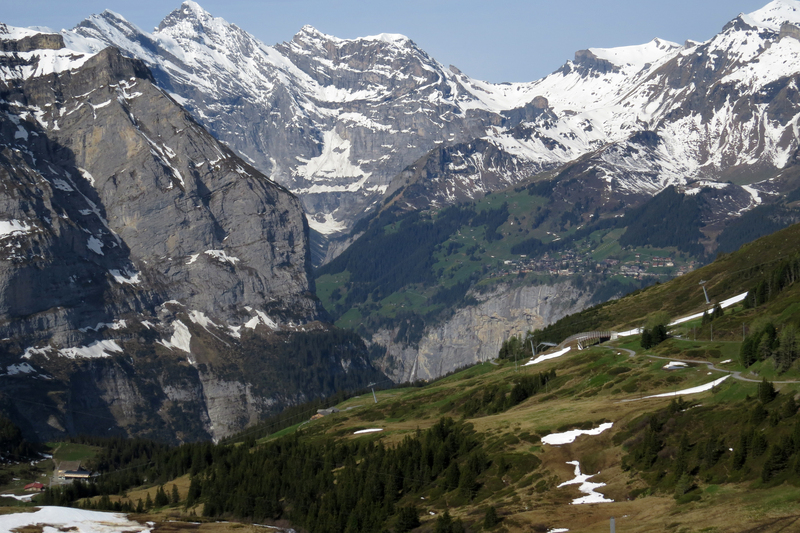 On the way back we changed trains at Klein Scheidegg and then returned via Grindelwald to the east. This gave a different perspective on the mountains …. …. 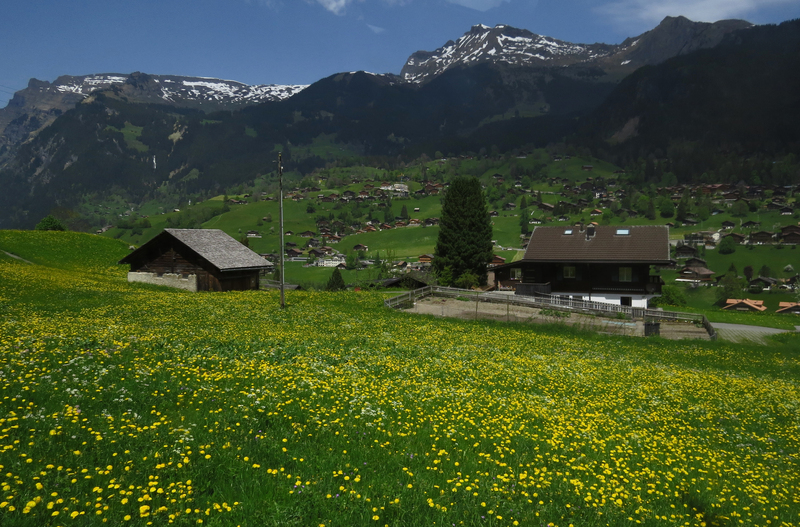 and also gave great views of the flower filled Alpine meadows. 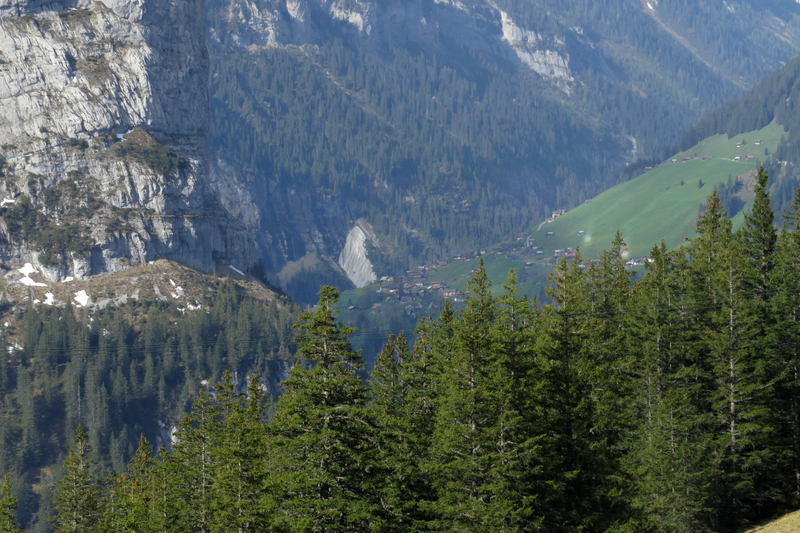 I would highly recommend this journey, it’s not cheap, about 200 Euros pp from Interlaken, but it takes you through a complete cross-section of the Alpine habitats, from lowland valleys to flower filled meadows, coniferous forest, open areas above the tree-line to the land of permanent ice and snow at the top. 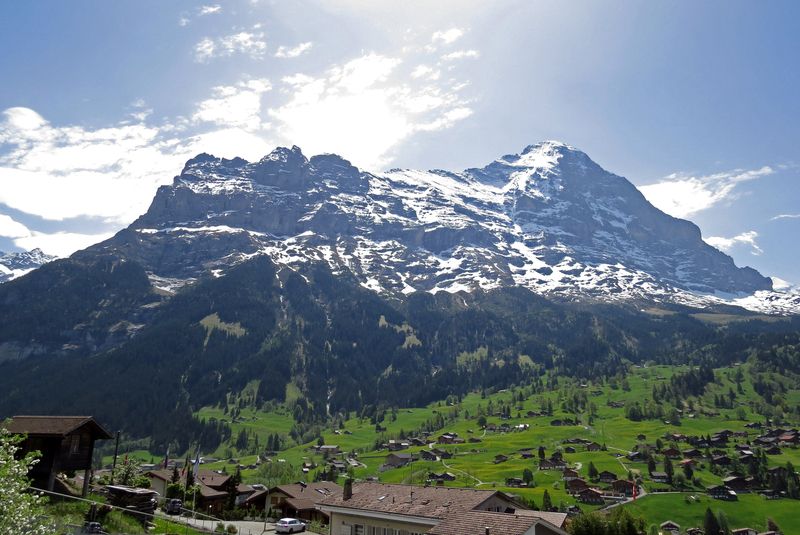 If you want to see Switzerland and have only a short time available then here it is in a nutshell. We spent the evening in Lucerne. 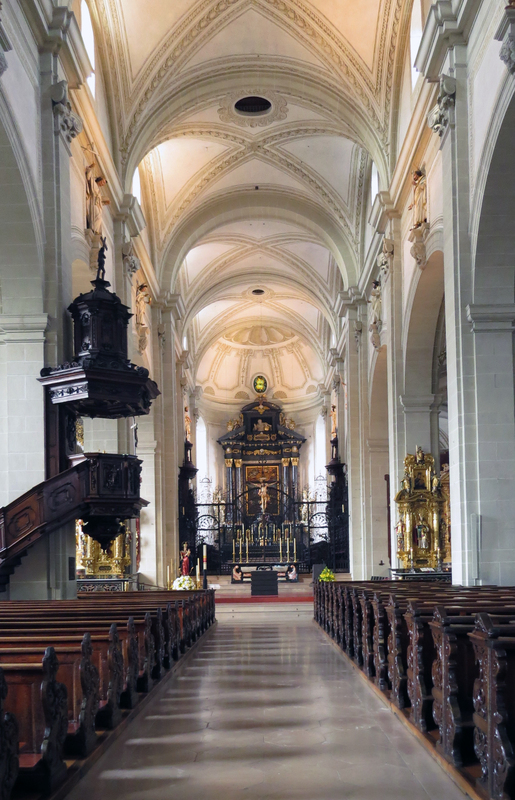 First we visited the impressive church …. …. arriving in the nick of time just as it was being locked up, there was only the opportunity for this one photo. 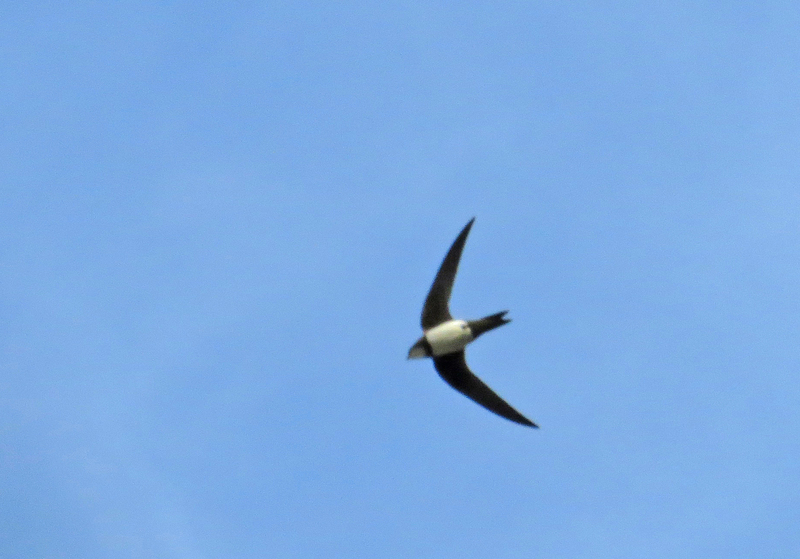 Apart from Les Alpilles in southern France, Lucerne was the only place we saw the somewhat inappropriately named Alpine Swift. 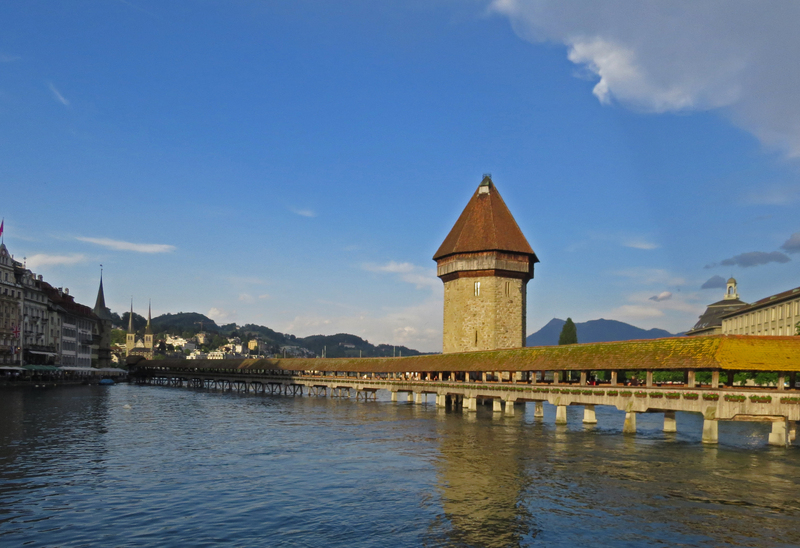 The Chapel Bridge and Water Tower were built in the 14th century and are Lucerne’s best known tourist attraction. 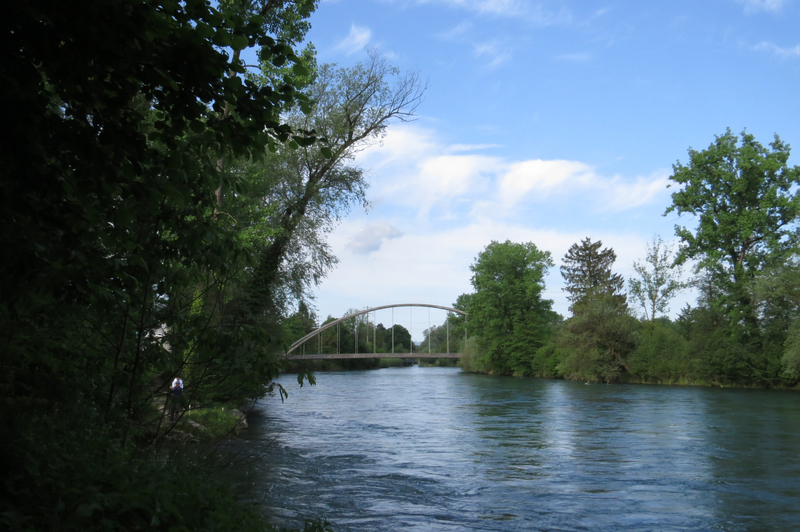 The bridge served as a rampart and part of the town’s fortification. The Water Tower served as a dungeon, archive and treasury vault. In the 17th century the bridge was adorned with a set of paintings depicting the development of the town and the Republic of Lucerne and the life of two patron saints. 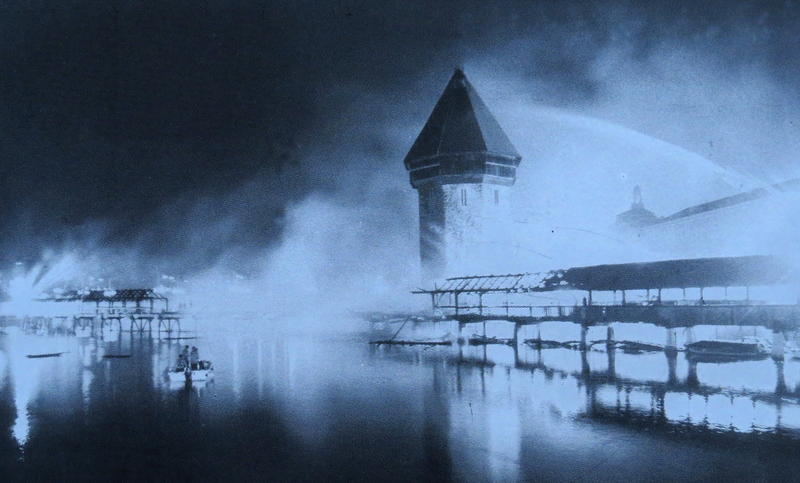 Tragically on the night of 17th August 1993 a fire broke out on the bridge, burning 81 of the 111 bridge paintings, only those at the two ends escaped. The bridge structure was quickly renovated (at a cost of about £1.5 million) and some of the paintings removed in the 19th century (when the bridge was shortened to make way for a new quay) have been hung in the place of those destroyed. Photo taken from an information board by the bridge. The surrounding waters held a healthy population of Red-crested Pochards, some of which were quite tame …. …. as were the Great Crested Grebes. We ended up in an ‘English Pub’ for dinner. It sounds a bit corny but it must have been ok as it was patronised by many locals. We headed back along the shore of the lake, getting our last view of the high mountains as Lucerne is at the northernmost edge of the Alps. As hotels were so expensive in the centre of Lucerne we drove to one at Root, some way to the north. The following morning we took a walk along the bank of the nearby river. We came across some species more typical of the lowlands like Garden Warbler and Spotted Flycatcher. After all the mountain torrents we had checked for Dippers with limited success it was a surprise to see a pair flying over this lowland river. 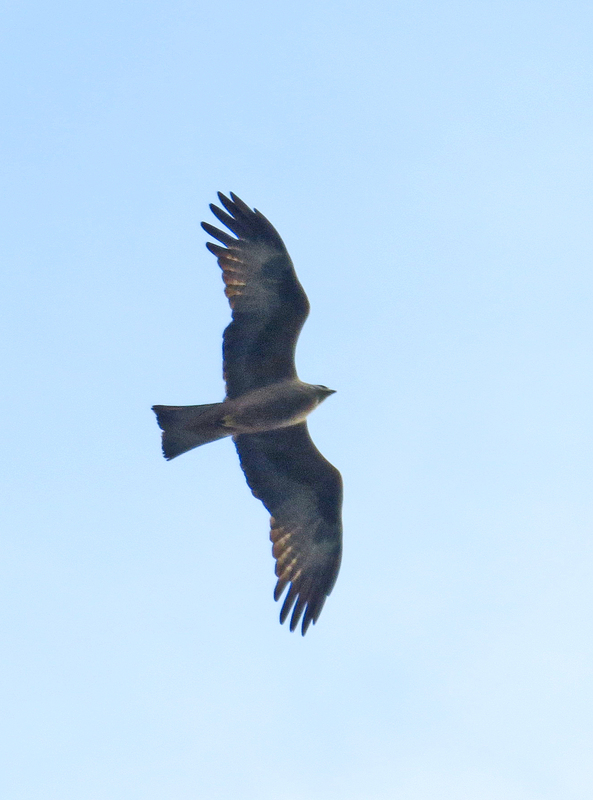 We had seen lots of Black Kites in southern France but there had been none in Italy or the mountains of Switzerland so it was nice to start encountering them again. From here we drove to the tiny Principality of Liechtenstein before meeting up with the family in Austria. More of that in the next post.